Kick off your visit on the 20th (Thu): take in nature's colorful creations at Japanese Tea Garden and then take in the views from Golden Gate Bridge. Get ready for a full day of sightseeing on the 21st (Fri): contemplate the long history of Alcatraz Island, take a leisurely stroll along Fisherman's Wharf, and then get a taste of the local shopping with Ferry Building Marketplace. To see photos, more things to do, and other tourist information, refer to the San Francisco trip builder tool . Washington DC to San Francisco is an approximately 7-hour flight. You can also do a combination of subway, bus, and flight; or drive. You'll gain 3 hours traveling from Washington DC to San Francisco due to the time zone difference. Traveling from Washington DC in December, things will get a bit warmer in San Francisco: highs are around 59°F and lows about 45°F. Cap off your sightseeing on the 21st (Fri) early enough to travel to Lihue. Lihue or Līhue is an unincorporated census-designated place (CDP) and the county seat of Kauai County, Hawaii. On the 22nd (Sat), see majestic marine mammals with a dolphin and whale watching tour, then stroll through Poipu Beach Park, and then take in the architecture and atmosphere at St. Raphael Church. Here are some ideas for day two: take in the exciting artwork at Art House Hawaii, see the world from above with a helicopter tour, and then add some adventure to your tour with a kayaking and canoeing tour. To see other places to visit, traveler tips, photos, and tourist information, use the Lihue online trip maker . Traveling by combination of subway and flight from San Francisco to Lihue takes 7.5 hours. Alternatively, you can fly; or do a combination of train and flight. Due to the time zone difference, you'll gain 2 hours traveling from San Francisco to Lihue. When traveling from San Francisco in December, plan for a bit warmer days in Lihue, with highs around 79°F, while nights are warmer with lows around 67°F. Wrap up your sightseeing on the 23rd (Sun) early enough to travel to Lahaina. On the 24th (Mon), enjoy the sand and surf at Baby Beach, then get up close to creatures of the deep with a dolphin and whale watching tour, then don't miss a visit to Lahaina Banyan Court, and finally take in the exciting artwork at Lahaina Galleries. Get ready for a full day of sightseeing on the 25th (Tue): kick back and relax at Ka'anapali Beach, then take a stroll through Lahaina Front Street, and then pause for some serene contemplation at Lahaina United Methodist Church. To see more things to do, ratings, maps, and more tourist information, go to the Lahaina trip planning site . Traveling by combination of flight and bus from Lihue to Lahaina takes 3.5 hours. Expect a daytime high around 78°F in December, and nighttime lows around 68°F. Cap off your sightseeing on the 25th (Tue) early enough to travel to Grand Canyon National Park. 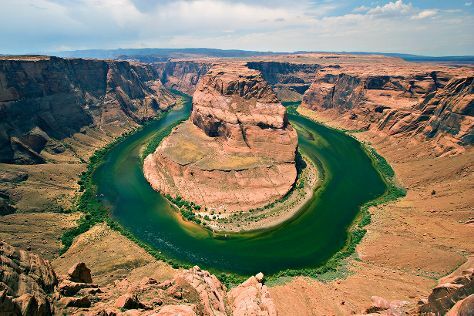 Spend the 26th (Wed) exploring nature at Grand Canyon National Park. And it doesn't end there: explore the stunning scenery at Grand Canyon South Rim, take some stellar pictures from Hopi Point, pause for some photo ops at Powell Point, and hike along Rim Trail. To see other places to visit, reviews, ratings, and more tourist information, read Grand Canyon National Park road trip planning website . Traveling by combination of bus and flight from Lahaina to Grand Canyon National Park takes 15 hours. Alternatively, you can do a combination of bus, flight, and taxi. The time zone difference moving from Hawaii Standard Time (HST) to Mountain Standard Time (MST) is 3 hours. Expect much colder temperatures when traveling from Lahaina in December; daily highs in Grand Canyon National Park reach 45°F and lows reach 15°F. Finish up your sightseeing early on the 28th (Fri) so you can go by car to Page. On the 29th (Sat), take in breathtaking views at Antelope Canyon, then explore and take pictures at Horseshoe Bend, and then identify plant and animal life at Paria Canyon Wilderness Area. For other places to visit, more things to do, traveler tips, and other tourist information, you can read our Page route site . Drive from Grand Canyon National Park to Page in 2.5 hours. Traveling from Grand Canyon National Park in December, Page is somewhat warmer at night with lows of 30°F. Finish up your sightseeing early on the 29th (Sat) so you can travel to Key West. Start off your visit on the 30th (Sun): test your problem-solving skills at popular escape rooms, browse the exhibits of Truman Little White House, then look for all kinds of wild species at Key West Butterfly & Nature Conservatory, and finally admire all the interesting features of The Overseas Highway. On your second day here, go for a walk through Key West Garden Club, get interesting insight from Tours, and then look for gifts at Uva Wine Shop & Bar. To find other places to visit, where to stay, and more tourist information, read our Key West visit planner . Traveling by flight from Page to Key West takes 11 hours. Alternatively, you can do a combination of car and flight; or drive. The time zone difference moving from Mountain Standard Time to Eastern Standard Time is 2 hours. Expect warmer temperatures when traveling from Page in December; daily highs in Key West reach 79°F and lows reach 71°F. Cap off your sightseeing on the 31st (Mon) early enough to travel to New York City. New York City is known for museums, nightlife, shopping, historic sites, and parks. Your plan includes some of its best attractions: take in the pleasant sights at Central Park, take in panoramic vistas at Top of the Rock, make a trip to Rockefeller Center, and snap pictures at Brooklyn Bridge. To find more things to do, reviews, where to stay, and other tourist information, you can read our New York City route builder website . 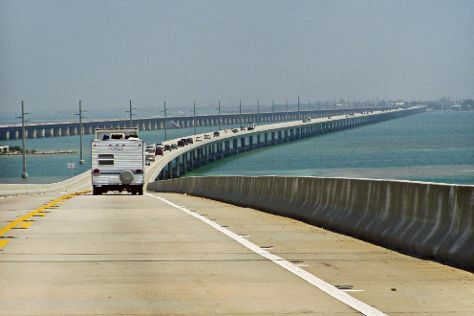 Traveling by combination of flight and bus from Key West to New York City takes 6 hours. Alternatively, you can fly; or drive. Expect cooler temperatures when traveling from Key West in January; daily highs in New York City reach 40°F and lows reach 24°F. Finish your sightseeing early on the 3rd (Thu) to allow enough time to travel back home.